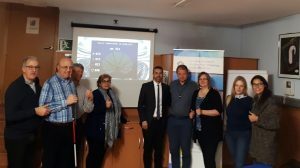 The European Platform of Deafness, Hard of Hearing and Deafblindness met in Barcelona on 13th of March. Amongst important items the European Accessibility Act was on the agenda of the meeting. The Act was finally voted in the plenary session of the European Parliament in Strasbourg on 13th March. The European Accessibility Act is a landmark agreement. However, there is still a lot work to do. While it will ensure that many products and services will be more accessible for persons with disabilities, it will not make the EU fully accessible. It still excludes many essential areas such as transport, buildings and household appliances. You can read the European Disability Forum’s media release here.